Two teen girls from Bartow, Florida have been arrested after their cruel mass murder plans were unraveled. 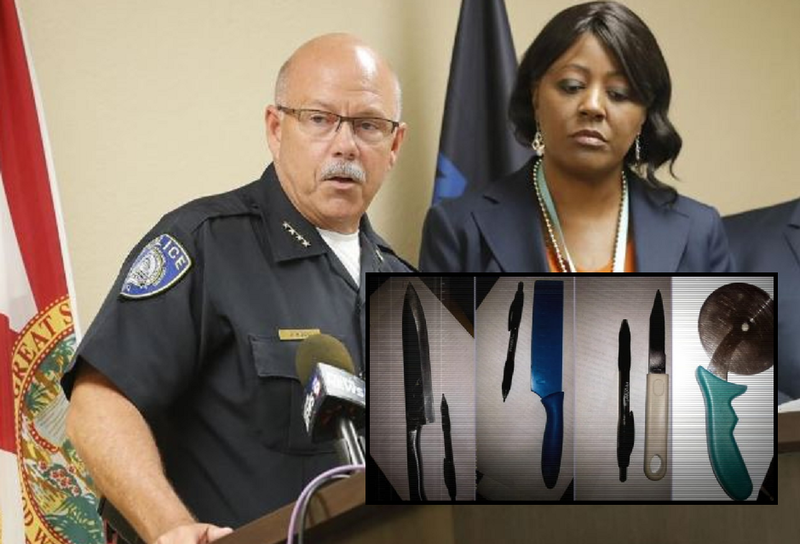 The girls, aged 11 and 12, had brought multiple big knives to school which they intended to use for the murder of some 15 to 25 of their classmates. The duo, who declare themselves as Satanists, had planned on committing ritual suicide afterward. They were inspired by binge watching horror movies. The girls were arrested in their school on Tuesday for possession of weaponry and attempted murder. The American justice system will now have to decide whether they’ll be tried as adults or minors. For the time being, there are kept in a facility for minors. The two had planned to hide out in the toilets and wait there for the younger kids who they would slash at the throats. Afterward, they would cut up the corpses, eat the meat and drink the blood of their victims. One of the girl's phones had a message that they planned "to leave body parts at the entrance." Want gut a stomach or slice a neck. A pizza cutter will do it IF sharpen properly and do it quickly. Not the ages 11 and 12 …. I just too much smart phone time. Some (religions) need to be persecuted to extinction. This is one of them. There is just one thing I fail to fathom. How is it the great deceiver gets followers? In the end all he want`s is company for the eternal misery that will be his. spark of whatever in the here & now. Idiot`s. Even if you don`t believe in heaven or hell is the bet on your eternal light worth it? You look AMAZING! Who's your surgeon? Any bets what type of household they were raised in? Liberal Free Range or Conservative. Hippy/boomer/socialist/(((parents))) who probably abused them in satanic rituals. My bet is on some “hip & trendy” parents that always resisted mainstream culture to the extreme. Cause satanists!! WTF!! I’ll have to inquire but I don’t remember ever driving by the devils temple or other place of sacrifice or whatever? Ohhh prolly in some losers trailer down by the river attended by invites only I’d guess? Or some Fagbook page circle jerk club of buggering wankers I suppose?